There is an item on Gizmodo UK today covering a YouGov poll of how British people view our favourite Time Lord. Probably no great surprises at the top. As incumbent Doc, poor Jodie doesn’t fare too well. The lower end sees a bit of a shift however. although he actually got the same rating as Patrick Troughton (who?) who came in twelfth. But what really surprises me is that GizUK’s Holly Brockwell doesn’t seem to know who the Second Doctor is? Is that a joke? Or am I just terribly old? Who do you reckon came first? And last? In other news, the Daleks face their match in a local planning department. 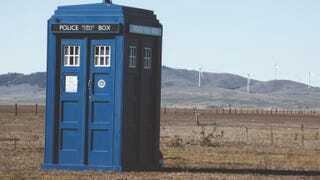 A council says the shed housing the replica Doctor Who villain has broken planning rules.